Owl is the Bonn-based project of Christian Kolf (vocals, guitars, synth) who created it together with Patrick Schroeder (drums, percussion) in 2010 in order to explore death-doom territory that he hadn’t crossed yet in his progressive death-doom band Valborg. Christian is pretty prolific. He also played atmospheric progressive sludge in Woburn House, some prog metal in Island, not not long ago he joined the black metal crew Absolutum, and he gained some experience in a few other acts as well. Owl’s a strange creature, more so that owls seem to be. Their first two full-lengths, Owl (2011) and You Are The Moon, I Am The Night (2013), were experiments in the field of pretty proggy death-doom metal with quite complex and aggressive compositions, and the following EPs — Into The Absolute (2014), The Last Walk (2014), Aeon Cult (2015), and Orion Fenix (2018), show Owl’s development in another direction. 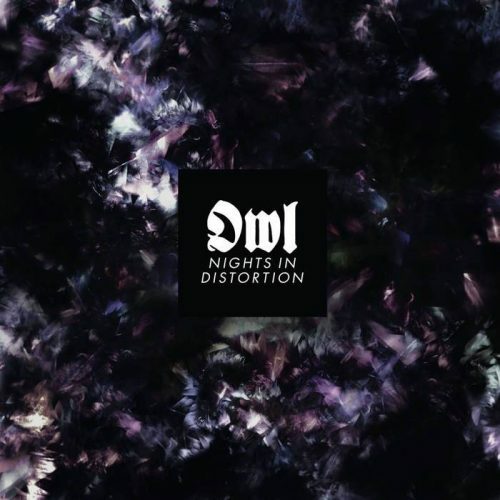 The latest result of the band’s inner changes is the Night In Distortion album (Temple Of Torturous, 2018). It’s tagged as ambient doom metal, and this description is partly close to the matter. I was impressed by this material and got in touch with Christian to ask him a few questions about Owl’s past, present, and future. Hail Christian! How are you? What’s going on in Owl’s nest? I’m fine, thank you! At the moment I am mixing three songs which will be released on a split tape with the Slovakian band 0N0 in June 2019. I wrote two of the songs like 4 years ago and one in 2018. It will be really heavy and chaotic. Sorry, no Doom this time, but a lot of blast beats. I never said goodbye to the extreme stuff, so the split tape was perfect for that. Besides that, I have started to work on a new album, which is going to be more ethereal and melodic. No blast beats at all. That’s all I can say now, it’s still developing. Are you meaning that these new songs are to be released under the Owl moniker? Or will it be Valborg? No, it will be a new Owl album. You and Patrick formed Owl in 2010, with other bands and projects behind you, including the progressive death-doom band Valborg. What drove you to start another doom band? How do you see the core differences between Owl and Valborg? Owl started out as a death metal project. I had the “vision” of a death metal album in this kind of way since 2004. When I discovered Portal in 2009, it really gave me a push and I started to compose songs for the first album. I recorded all the music before we recorded drums. Then I just asked Patrick if he might be interested in drumming on these songs. Sometimes it was a real improvised approach. On some songs we just recorded the drums after only hearing the music one time before. It was the “magic thing”. With the first album I had the thing going on that “everything is okay, even mistakes are allowed”. I wanted to have this non-perfect death metal feeling. Because this is what created the atmosphere. I don’t think that the album would work if everything had been recorded perfectly. Valborg is ugly and harsh in its core, Owl is beautiful and florid in it’s core. Valborg is a band effort, Owl is just me, and thus very personal. By the way, how do you split your ideas between Owl and Valborg? I don’t have a lot of problems to decide what is Owl or what is Valborg. Because in Owl I use another tuning. The music is not created for “band playing”. With Valborg I always try to find simple stuff, that has a great impact and that works in the band situation. Both bands expanded their own directions, so I know exactly which music will be for Owl or for Valborg. Owl’s debut self-titled album is composed in some sort of avant-garde death-doom manner. How would you sum up your musical and non-musical influences when you were writing this material? Well, besides Portal, the old versions of Anathema and My Dying Bride were an influence. Morbid Angel and Gorguts. I also had an Allan Holdsworth vibe going on. He is a jazz fusion guitarist, who sadly passed away. I think people don’t know how genius he was and what “new” stuff he created. It sounds really cosmic and ahead. But I doubt that you can hear it on the first Owl album. I guess it’s more of a mental influence. There were also some old-school goth influences, like Fields Of The Nephilim and Sisters Of Mercy. And for the ambient part, it was Anathema, because they had an ambient piece on Serenades, as well as Red Harvest, who had ambient pieces on their Hybreed album. I listened to that stuff so much, when I went to sleep, and it was always a dream of mine to do a death metal album with an ambient piece on the end of the record. I also wanted to do something “anti”, something people could moan about, which happened. There are five tracks on the album with an overall duration of one hour, and that fifth track “Threnodical Ritual at the Spectral Shores of the Eternal Sunset” is 30 minutes long. All of these tracks have pretty long titles. What was your general idea besides such a complex approach? Just Absu. I really don’t know how I wrote the lyrics and how I created those titles. But I know that Absu were an influence, and I just wanted to exaggerate things. Do you feel that such a recording is a purely artistic experience or as a kind of spiritual practice? Can you say that some of your compositions were written rather unconsciously? I just write and record music. I always think that it is nothing special. Especially in these times nowadays. Everybody is capable of creating music. But for me personally, when I push those things away and wait for the right moment, creating this music is always very meaningful to me. At the bottom line, when I record music and vocals, it becomes really honest and serious for me. Even though I know it’s just metal. But metal shaped me and it’s my way of expressing myself. I just do it and try not to think about things from the outside world. Because whichever way you look at it, nothing makes sense and everything makes sense. Owl is a duo. Do you and Patrick play this material live? We’ve never played live. Owl is more of a recording project. Patrick is my buddy in Owl, he always helped me out, but he is not a member in the way of composing music for Owl. He was always there when I needed a drummer. On the upcoming split EP, drums will be handled by Tentakel Parkinson of Todtgelichter. I’m open to work with different drummers or even programmed drums, because nowadays Patrick doesn’t have that much time anymore. I always have loose plans to play live, but I don’t know when this will happen. Maybe with the next album. The second album You Are The Moon, I Am The Night was recorded two years after the debut. What are your memories of this recording session? The first album really went well and this motivated me to do a second album. I just started to write riffs. I wanted to do something extreme again and I wanted to include my Neurosis influences, because at this time I was listening to Through Silver In Blood again, which was a huge influence as well. I listened to this album a lot in my youth. On the second album I wanted to make the music a little bit more introverted and personal, less death metal and more obscure. When I wrote ‘Memories Of A Dead Dream’, I originally did not write this song for Owl. I wanted to do a “Jesu”-kind of doom song. When I finished it I just thought, why not put it on the Owl album. I also cooperated with my French friend Karl, who wrote some lyrics and sang on the first song. It was a good time, when I remember it. I recorded the vocals at home under my blanket. This album already includes some ambient influences, which became one of the features of Owl’s updated sound. Why did you decide to balance Owl’s original aggressive and depressive vibe with these airy parts? It was a slow process. After all the death metal I wanted to make more emotional music. But let’s put it like this: I always created an Owl album when I really felt the need for it. With Into The Absolute, I did not write those songs for Owl. I just decided later, that this is Owl. I was free of any obligations in my head. And thus it was more inspired by Strapping Young Lad and Devin Townsend, as well as black metal. After that I recorded The Last Walk, which was deeply personal. This song was not meant to be released, I just did it for me and later decided to release it. It started with an ambient piece, but later turned out to be some kind of funeral doom influenced song. With this song I also opened myself to the influences of Dead Can Dance and Type O Negative, which I was listening to since my teenage years. 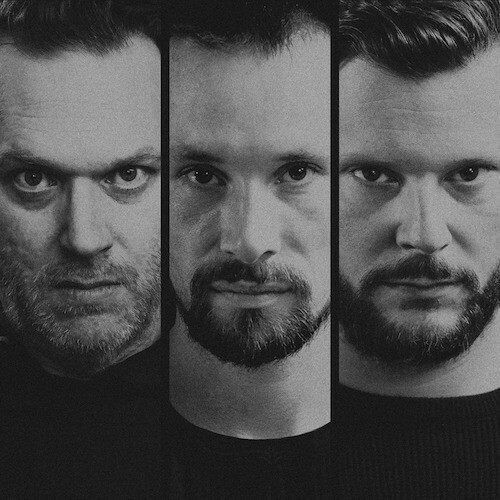 As you say, in the years to come you recorded four EPs – Into The Absolute (2014), The Last Walk (2014), Aeon Cult (2015) and finally Orion Fenix (2018). Each recording shows different stages of the band’s development. How do you value your progress through the years? After The Last Walk I recorded Aeon Cult. Which was a very aggressive period in my life. I remember that I wrote each song in one hour, I just spit it out. And Orion Fenix just happened because I worked for such a long time on Nights In Distortion. I had to wait like two years to release it and I just thought that I wanted to do a nice doom song and release it on Bandcamp. So Orion Fenix is the most up-to-date material at the moment, and I can say that from this I will continue the Owl journey. But I’ll never know if someday I will do a weird death metal album again. I guess people who liked the first two records will have their problem with the new material. But people who liked Nights In Distortion will dig it. Do you plan to have this series of EPs in physical format? Do you care about such things for your recordings? I would love to. But it’s always a question of money, you know. I talked with my label about it, but we don’t know if it will be profitable. At the moment I can’t pay for it by myself. I have to keep the money and put it into the new album — that’s far more important. I guess that apex of this development is your latest album Nights In Distortion. You use more clean vocals, and dreamy clean guitars as well, and this approach really works effectively. “We Are Made For Twilight” is a killer track. You know, it’s impossible to fight its magnetism. How long and how hard did you compose these songs? It’s not really hard for me to compose. I just wait for the right time and vibe and then it just happens. I think, when I have something to say, then I will create something. I mostly don’t know how I create the music by myself. When I get in the flow I really let my heart speak. You recorded the album with bass-player René Marquis, who passed away in March 2018. Did he take part in the songs’ composing? What’s his part in this work? He was my instrument builder and a musician with whom I jammed sometimes. I just asked him to play bass on the album, because I knew he was a very talented bass player. And I wanted to have a full band with this release, because I had plans to bring it on stage. But this never happened. I dearly miss him. He was such a close, warm, and heart-ful friend, beside all his talent. Christian, as Owl’s lyricist what inspires you? Do you prefer abstract forms or do you channel through your texts some real stories and impressions? My main inspiration is grumpiness. I only write lyrics when there is this “right” feeling and I am in a special mood. I just write stuff down that is in my head. Stuff about me coping with life, cloaked in some strange words that give me a feeling and make sense. On the first album it was more death metal fantasy, but since the second album it has become more and more personal. Owl remains a productive but quite obscure band for many doom followers. What’s the most impressive feedback you’ve gotten on your music? What makes it worthwhile to write Owl’s doom? It’s humbling when people tell me that my music did something good to them. I guess my longing for ethereal feelings is the main reason why I create this music. I use Owl as a vehicle and I want to develop things with it. Always trying to create something that was maybe not there in this kind of way. I mean, this is the most exciting thing for me. I know it’s sometimes weird music, but most of the time I don’t get it. I think it’s just normal stuff. I’m happy that my music created friendships with musicians from Lantlôs and Nightmarer. The feedback of those respected musicians, who are my close friends, is always a little helper/pusher to go on with this project.